After the recent rate cut from the RBA, Commonwealth Bank chief economist Michael Blythe in a note to their investors indicated that the bank expects the RBA to make more additional interest rate cuts. “We had penciled in another 25 basis point rate cut for August, but the level of RBA concern is such that we feel obliged to add another cut to our cash rate profile. We have inserted a further 25 basis point cut in November". From 1.75% today to a possible record low of 1.25%. 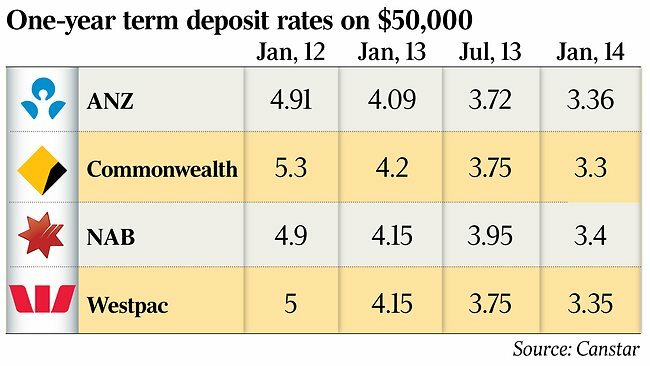 Banks and financial institutions have reacted to this cut but with expectations of further cuts as per the update from AustralianSuper in their term deposit page in that 6 month term deposit investments in the short term are currently yielding higher than longer term investments. 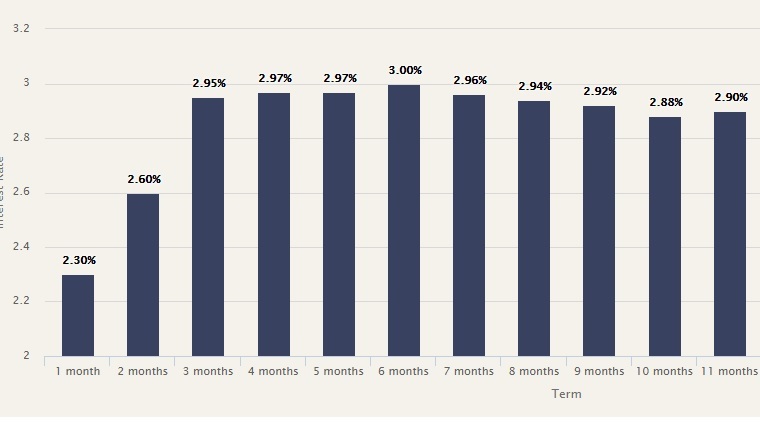 According to Cashwerkz , the online deposit manager, the yield chart indicated that 6 month deposits could be the be the highest offering in the short term (<1yr) before further cuts in the near future. Longer trends indicated by the RBA in that "increasing concern that this world of ultra-low interest rates over a lengthy period is a big problem for savers. Here we are not talking about short-term trends. When everyone wants to save, the return to doing so will fall". • How much california sales tax? • What is the galtere international fund?